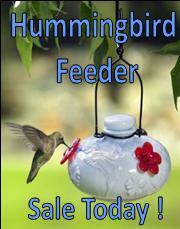 We are bringing you a Special Feature Article today brought to you by Vela Creations. 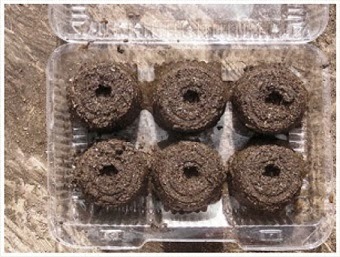 This well-rounded tutorial will show you step-by-step how to make your own soil blocks for starting your spring seeds. It will save you money as well as save your seed starts from the trauma of transplantation from commercial packaging into your garden. 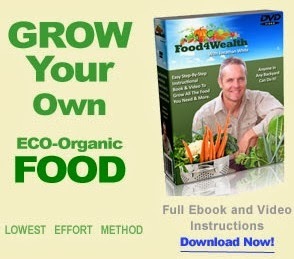 We hope you enjoy this information and find it helpful in your seed starting adventures. One of the best systems we have seen to avoid transplant mortality is soil blocks. They have many advantages, but the main one is that soil blocks GREATLY reduce transplant shock, leaving you with more survivors in your garden. They won't create root balls like starter pots or trays, they don't limit roots in the soil like peat or paper pots, and they don't destroy roots like flats. 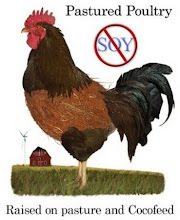 You can make these blockers any size you want, depending on the size of the seeds you have. A 2” block (½ pint size) is best for most seeds. We like the 4” size of the quart can for large seeds like squash and beans. Smaller blocks are good for starting faster growing, smaller seeds like lettuce, greens, and onions. If you go with a smaller can, you'll want to reduce the size of the eye hook as well, probably making it 3-6 inches long. The main thing with the can selection is avoiding a corrugated can, like a soup can, as the soil doesn't release well. Make sure you clean the can well before starting. Using the hacksaw, cut off the bottom of your can. Cut about 1/8” to 1/4” from the bottom of the can. Cut slowly, and make sure you get a good, straight cut. This will become the plunger part of the blocker. With your pliers, go along the end of the cut-off bottom and bend the 1/8”-1/4” of the remaining part of the can towards the center, so that you have a nice smooth circular edge without any sharp bits. 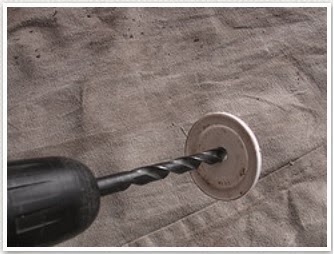 Drill a hole at your center mark, starting with the 1/8” drill bit for a pilot hole, and then step up to your 3/8” drill bit. 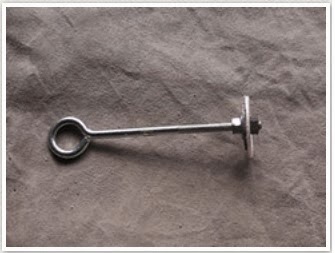 Put one nut on your eye bolt, and thread it about 1 1/2” to 2” from the end of the eye bolt. Many soil mixes will work for a soil block, but this recipe will be almost fool-proof. A unit can be any sort of can or bucket, depending on the size of the mix needed (start small). There are lots of different recipes online, so feel free to experiment. You can also buy commercial mixes, though I have no experience with them. Set up a nice large work area. You'll want a hard surface like a concrete slab to dump your mix, and then another area to keep your trays and blocks once they are made. Dump your mix onto your hard surface. Patios are good for this, as well as outdoor work tables. Wet your mix. Be careful with this step, as most people won't add enough water initially. You want your mix thoroughly moist, and almost dripping water. If your materials are fairly dry, a good ratio is 3 parts mix to one part water by volume. 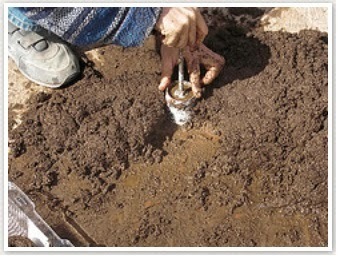 Gently lift the blocker, and the soil should stay inside. If it falls out, try again, and gently twist and tilt the blocker as you lift the blocker. If the soil won't stay on the blocker, add a bit more water and pack the soil a bit harder. Dip your blocker in water between each block to help keep it clean and ensure a good release. Space each block about 1/4” from the others. Gently water the blocks with a very fine mist. Put a bit of water in the tray, 1/4-1/2” deep, to help keep the blocks moist. 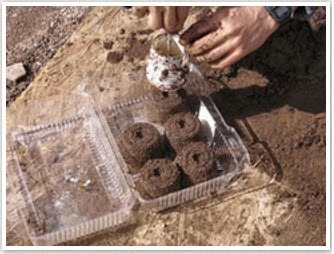 Cover your blocks with a clear lid if your bakery container has one. If not, saran wrap will do just fine. Be sure to keep your blocks moist, watering them once or twice daily. Once the seeds sprout, you can remove the lid from the container. Almost every single part of your blocker can be salvaged. Paint cans, medicine bottles, or just about any smooth container will work. The eye bolt serves as a handle, and you could just as easily use a long bolt with a wooden handle. 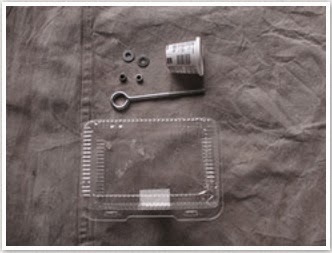 The bakery containers are convenient, as they come with clear lids and are small and reusable. Brought to you courtesy of Vela Creations. Thank you for sharing your wonderful tutorial with our readers today.